Building and unbeatable team is as crucial for a business to succeed as it is for a SWAT or SOF team to dominate their operations. In part 1 of this series I introduced the concept of Integral Theory as it pertains to Teams. As a quick review, we operate simultaneously in three primary “spheres” or points of view. These are: the “I,” the “WE,” and the “IT” spheres. The “I” Sphere is the world of the interior-individual. The “I” sphere is exactly what it sounds like – the “I” of you. It is your internal sense of self, awareness, consciousness and world view. This is where we spend our time when we practice our awareness skills at SEALFIT, deepening our sense of self from which springs our concepts of beauty, art and love. In a team context, this sphere encompasses the hearts and minds of all the team’s players – leader and followers alike. From the “I” Sphere we develop our sense of Trustworthiness, Self Esteem, Self Worth, and our general sense of Happiness. The “WE” Sphere is the interior-collective. “WE” is where “I” joins with others to form a team (also insert family, group, tribe, company, platoon, etc.) Every team not only encompasses a bunch of “I’s” but also a collective sense of Team Self. We call this the Team Spirit or Culture. With a healthy team the whole is greater than the sum of its parts. This means that the team experience uplifts its individuals to a higher state of happiness and well-being. In a sick or faltering team, the whole is less than the sum of its parts. Thus the team experience degrades the individuals to a lower level of well-being. In “WE” there must be Trust powered by the trustworthiness of the individuals having a Shared Experience and Sharing Risk. Healthy teammates have an attitude of Service toward each other, making them good at Following as well as Ready to Lead! Finally, the “IT” Sphere is the world of the exterior collective which are the organizations and systems that we create to provide sense, structure and meaning to our collective existence. Often these organizations and systems have a broad and deep impact on our sense of well-being, team cohesiveness and team strength – both positive and negative. I noted that Elite teams focus on developing and balancing all three spheres, seeking strong individuals who drive strong teams, supported by healthy, thriving organizations. It sounds so simple, but is not easy to achieve. If you have read about the 5 Mountain Training of SEALFIT, you may note that it is focused solely on the “I” sphere, where it develops in a balanced and healthy manner the Physical, Mental, Emotional, Intuitional and Warrior Spirit aspects of our selves. Doing so is a lifetime of work, leading to what we call “Self Mastery.” Observing others who have this level of mastery is a real treat, because it is so uncommon in this day and age. My mentor Tadashi Nakamura at Seido Karate in Manhattan is a good example. Mr. Nakamura had a level of unconscious competence in his art that can only come from 10,000 plus hours of training and teaching. His character displays an equal level of grace and self-mastery. He is as a beacon of light swathing those he contacts with his humor and good will. He never forgets a name despite having many thousands of students worldwide. Twenty years after my last workout at the Seido HQ, on 23rd street in Manhattan, I walked into the dojo and was greeted by name as if I had never left – by Mr. Nakamura in person! This is just an example of an individual who, through his own version of 5 Mountain training, displays mastery but continues to work on himself daily. His team at Seido is an Elite team that exemplifies the concepts of an unbeatable team as I have outlined above. They operate in a culture of respect for the individual, the team, and have built systems to support them both. How did Mr. Nakamura accomplish this, and how can you? There are four stages to a team life: Forming, Storming, Norming and Performing. Let’s examine how unbeatable teams tackle the first stage. 1. Forming. The formation is the recruitment, selection and initial training of the teammates. In this stage the organizing force (Entrepreneur, Department Head, Commanding Officer, etc.) is leading things, or selects a leader to form the team. The ultimate leader of the team may later be selected from the most qualified team members or may rise to the top as a result of performance and expertise. Top performing organizations have a very deliberate and precise process for forming their teams. This process includes recruiting the right people, then selecting the right recruits! The SEAL Team example should be very familiar to you. The Navy spends a small fortune to recruit, but the SEALs have their own team of “Scouts” who ensure that the right guys get the contracts. Then the selection process is long and arduous: Boot camp, SEAL Prep School, Basic Underwater Demolition SEAL School, SEAL Qualification Training, Jump School and SERE School. The small percentage of guys who finally make it have been through nearly two years of selection. Then the real training to be a SEAL begins after the Team is formed around those select few. Admittedly not many organizations have the budget or time for a recruitment and selection formation process like the SEALs. However some of the better corporations have mirrored in a small way this model. Google’s selection process is a mental crucible. I am quite sure I wouldn’t make it past go with this company. A road sign in San Francisco with an elaborate mathematical equation and an email address at Google is the recruitment ad. Solve the equation to get a first interview. The equation was a bit beyond my rudimentary calculus. Google is recruiting the right people, and then placing them through a selection process that includes multiple rounds of interviews with multiple people in the organization. They are looking for brains yes, but also creativity, entrepreneurial spirit, and the ability to be a team player. Their results speak for the sensibility of the team formation process I am detailing here. Does your organization throw teams together with little thought about formation? Have you noticed that within a few months it is often clear that the new members don’t work out and you feel stuck with them? Studies show that non-productive employees are rarely terminated at early signs of failure as a team member. Donald Trump is the exception, not the rule. The team struggles into the storming phase as it seeks to find balance with the wrong people on the team. Many teams never move from storming to norming, and can forget about performing! Even in the SEAL Teams an occasional poor performing team member is selected and makes it to the team. I am sure this surprises many of the readers, but trust me it is true. What do the SEALs do? They “fire” them as fast as possible. The removal of the team member may not send him out of the Navy right away, but the SEALs will not jeopardize the performance of a team or the accomplishment of their mission by keeping poor performers in the team. Bottom line: Take time to recruit the right people. Take time to select the right recruits. Take time to train the selectees for their mission. Then ensure that you “free up” mistaken hires for new careers as soon as possible. “Hire slow and fire fast” is sound advice for any team whether in business or government work. So what are the character traits we need to look for in recruiting and selecting the right people to build unbeatable teams? We will dig into that in the next part of Building Unbeatable Teams. 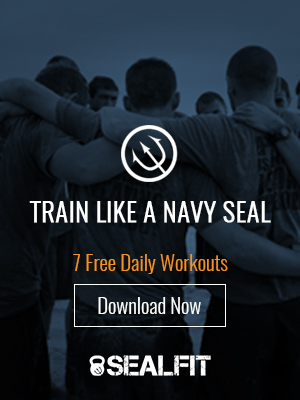 Keep an eye out for our updated and improved SEALFIT.com site! we have been hard at work making our site more robust and informative… we’re almost there!